Do a quick Google Images search of “Dead Sea.” The results will likely yield plenty of pictures of the sea’s signature blue waters, a few maps, and, of course, snapshots of people just sitting around – sitting around effortlessly on top of the water, that is. This environmental oddity – the lowest and the saltiest body of water on earth – sustains no life, yet it is a source of intrigue, inspiration, and income for people around the world. Many think the sea (with its buoyant, salty splendor) and the surrounding mud have healing powers. Some value it for its religious or historical significance. Others look at the sea as a means to an end; they extract the sea’s mineral-rich sediment and sell its byproducts for fertilizer, pesticides, water treatment chemicals and more. All the things that make the Dead Sea the stuff of legend, science, and tourism are at risk – from the both current situation and possibly from the proposed solution. The Dead Sea is dying. It relies on many small tributaries, but its main supplier of water is the Jordan River. Population growth in the region means more and more water is being diverted from its path towards the Dead Sea to other uses such as irrigation and drinking water. Evaporation, which makes the sea special by keeping salinity high, is also putting the Sea at risk, and the hot, arid climate and practices such as mineral extraction only exacerbate the rate of evaporation. Without an ample supply of water from the Jordan, the water level is dropping at an alarming rate (an estimated 1 meter per year). The old saying, "from ashes to ashes and dust to dust," seems all too appropriate given the recent news from Utah's Arches National Park. Wall Arch (above), which was one of the park's most-photographed natural arches, collapsed last week, leaving behind a mound of rocks and rubble. Though the arch was located along the popular Devils Garden Trail, no one reported seeing the collapse, which occurred on the night of August 4th. According to park officials, the famed arch died of the same natural causes that created it in the first place (read: gravity and erosion). Portions of the Devils Garden Trail will be closed until the path is cleared and debris, which continues to fall, no longer poses a threat to visitors. Though the arch will surely be missed, travelers shouldn't be too disheartened by the news. There are, after all, more than 2,000 known arches in the park, which which has the highest density of natural arches in the world. Save a Bird, Kill an Island? Driving down Highway 12 on North Carolina’s Outer Banks, I sense that something is wrong. “Save a bird, kill an island,” someone had scrawled across an SUV rear window. “Piping plover tastes like chix,” advertises a restaurant on its menu marquee. Pretty strong stuff. Better find out what’s up. My first stop was the legendary Red Drum Tackle Shop, in the village of Buxton. “They” have closed down miles of beaches to off-road vehicles and everything else, says Bob, the owner. 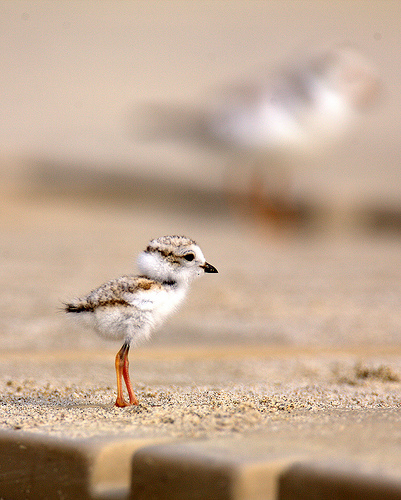 All for the sake of three little birds: the piping plover (pictured, above), the least tern, and the American oystercatcher. “They” are conservation groups, a U.S. district judge, and the National Park Service. The conservationists contend that people and vehicles on the beaches prevent the birds from nesting. While attending the Rothbury Music Festival earlier this month, IT editor Janelle Nanos sat down with Dr. Stephen Schneider, the Nobel Peace Prize-winning climatologist who was running the Think Tank sessions at the festival. Schneider has been talking about climate change since the '70s, he's won the MacArthur "Genius" Fellowship, and has served as an environmental consultant to six presidents. And now that seemingly everyone is (finally) talking "green," he was just as much a rock star at the festival as the actual rock stars on stage. Nanos spoke with Schneider about hybrid cars, celebrity compost, and how climate change can result in a cultural crisis. I imagine you often speak at universities and other more formal situations, so this must be a different scene for you. Are you enjoying the concert to far? I haven’t been to a music festival since I went to hear Joan Baez and Bob Dylan in the '60s, it’s a completely different scene. But they're uniting different groups who have never talked to each other. They’ve decided to add a think tank with serious scientists, business leaders, technologists, and media, to talk about stewardship. And then they're bringing musical acts up on stage to play a few songs, and then we interview them and we get their feelings on the issues. By getting people together and bringing disparate crowds that wouldn’t normally talk to each other you allow the building of a coalition. And coalitions are what makes politics, and politics is what makes rules, and rules make it possible to solve problems like climate change. They don’t solve themselves. How has the crowd been responding to the think tank sessions? I’ve been thrilled at the response of the crowd. I don’t usually give talks where people whoop and holler and have a good time. I can see why these rock stars like to go up there and play. For me it's usually the nerds talking to the nerds. It was fun to follow up Michael Franti (of Spearhead), so I changed my line to get people engaged and then got back into some more serious stuff. That was really cool, I really enjoyed doing that, it was fun. But what’s really important is the networking that’s been going on. Michael Kang—used to play with the String Cheese Incident—now plays with Pangea. 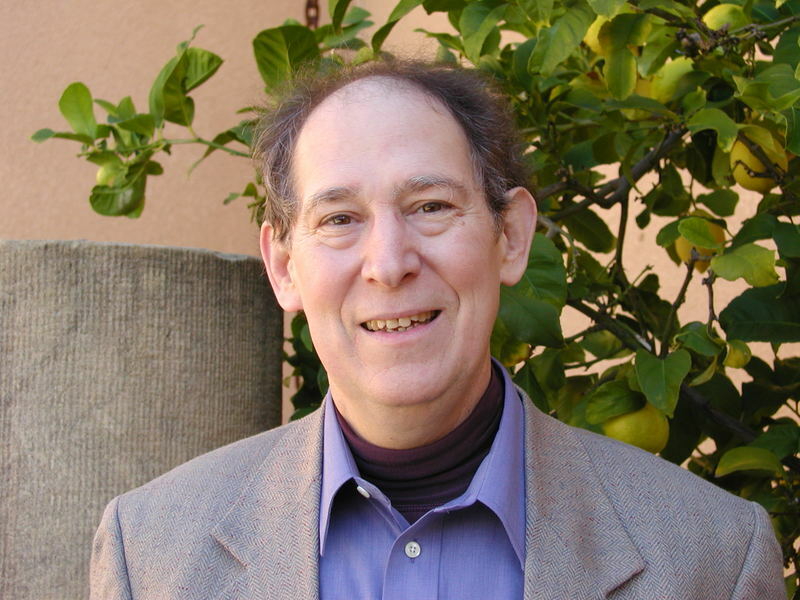 He was on a panel with me, and I learned that he had taken courses at Berkeley at the Energy and Resources Group, so he really understands this stuff. Having him in the front of the room while we’re having a serious discussion about stewardship and ecological threats makes the audience say, "My god, this rock guy, he knows his stuff." It makes it more important in their brains. That’s what’s making a difference in the world. Sure it’s very nice to get us together, to change consciousness while we’re here. But what really matters is networking people who are connected. So now we’re getting people connected. I view that as my most important function. Have you had a chance to actually see any of your rock star panelists perform? Yesterday I was in the tent with a bunch of rock stars who I’ve never heard of and I wouldn’t recognize if I tripped on them. I’m the worst gaper on the planet, I don’t know any of these guys. Give me Bob Dylan, Simon and Garfunkel, I know every phrase of every song they’ve ever written. But not this group. But it’s great to watch. And these guys, who are pretty self-inflated in some cases, they’re all sorting out their garbage into compost. And they’re doing it alone, they’re not having their underlings do it. That’s important. That says that nobody is above nature. And I thought that was a terrific symbol I was watching in that tent. There were no stars in there, it was everybody doing their thing. You sit there and watch Snoop Dogg compost and that’s pretty good. Anyone who has traveled to Angkor Wat (pictured, above) knows that there's something missing from the ninth-century Buddhist temple—Buddhas. While the UNESCO complex, which includes Angkor Wat and the Bayon Temple, is no doubt an archaeological wonder, tourists complain the site lacks artifacts. 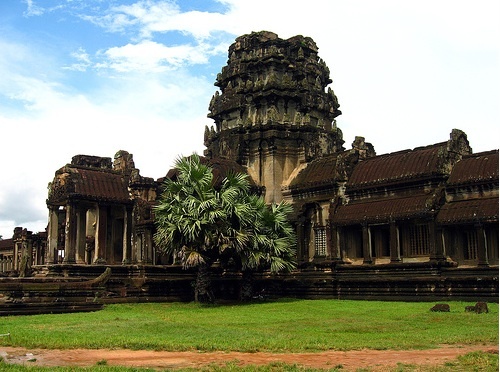 Throughout the centuries, artifacts were taken from Angkor—the once-capital city—by the French (Cambodia's former ruler) and displayed in museums overseas. Eventually some of the artifacts returned to Southeast Asia, but they are located in Cambodia's National Museum, over 185 miles south in Phnom Penh. Last October, a Thai company tried to bring artifacts back to the temple, by opening the Angkor National Museum just a few miles from the Angkor Archaeological Park. The $15-million museum borrows Angkor artifacts (including some 1,000 Buddhas) from the National Museum, as well as others. A good solution? Not everyone thinks so. Many believe that Thailand, once a ruler of Cambodia, has bigger plans than just opening the museum. Others complain about the museum's history and aesthetics—it has hundreds of Buddhas that date back no further than the 20th century, and it's designed by a Bangkok-based company (Vilailuck International Holdings), and includes a large retail area. During Rwanda’s annual gorilla-naming ceremony (called Kwita Izina), officials decided to name one baby gorilla “Sacola,” namesake of a trust that owns and manages a new lodge in the Virunga heartland that aims to preserve the future of little Sacola and the region’s other 700+ mountain gorillas. The Sabyinyo Silverback Lodge, or SSL, opened officially on June 21 in the midst of this year’s Kwita Izina, and sits near the rarefied habitat of the highly endangered mountain gorilla. 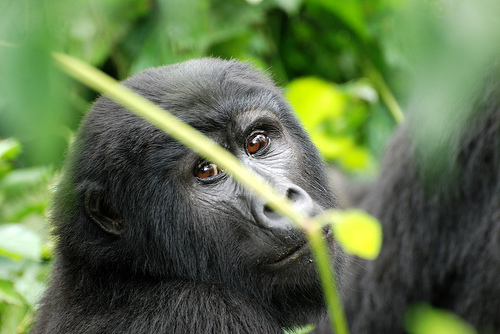 By channeling portions of guest fees toward both habitat and local community conservation, SSL hopes to create a “win-win” situation for a region plagued by riots, wars, corruption, and gorilla murders. Not far from the Volcanoes National Park (infamous as a battlefield during Rwandan civil wars in the 1990s), SSL is projected to raise $200,000 in its first year. Already, it has provided jobs for locals, and “all but one of the employees at the lodge are Rwandan,” says Kathleen Goldstein of the African Wildlife Foundation, which is one of the project’s partners. After the jump: Learn how the lodge's earnings have been put to use so far. Freelance writer Laura Powell recently traveled to Albania and couldn't help noticing the amount of litter that lined the roadways. Upon further investigation, she found that the trash was indicative of a troubled history and of a challenging future facing the nation. One thing that strikes you as you drive through the Albanian countryside (other than the horrendous state of the roads) is the litter that dots the landscape. Piles of trash highlighted by blue plastic bags show up everywhere. Ask foreign aid workers why this is so, and they might tell you it's a combination of a lack of waste management facilities and a lack of education regarding recycling. But ask Albanians and they will tell you they are plenty educated when it comes to recycling. In fact, they were forced to recycle well before the practice was in vogue. According to Auron Tare, head of the Albanian National Trust and a noted historian, during the Enver Hoxha dictatorship (1940s-1985), people were required to turn in glass bottles and paper, and there were school programs designed to teach children about the importance of recycling. Furthermore, given the dearth of consumer goods during Hoxha's reign, there wasn't all that much in the way of nonrecyclables to throw out. As a result, there was little need for landfills and other waste management facilities. After speaking with many Albanians, my assessment is that the current trend of tossing trash without regard to recycling is not merely careless disregard for the environment. For these people, who had to endure forced recycling during the Communist era, the import of plastics and other disposable consumer goods represented both freedom and wealth. The idea of being forced to recycle and reuse, must seem somewhat anathema to these newfound ideals. Additionally, the rapid growth in the 1990s of consumer goods, and thus waste, caught the country off-guard. So did the boom in development. During the Hoxha years, no one was allowed to own property. 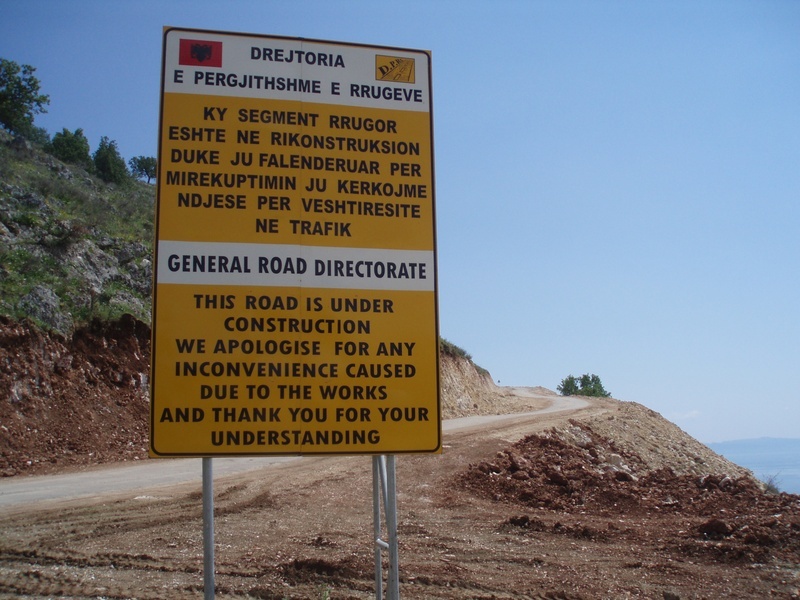 Additionally, according to Tare, "Because of military reasons, many areas in Albania were heavily protected. For example, there was a major tree planting program by the Communist government along the beaches. This was done with the purpose of stopping sea landings by foreign enemies." As a result, for many years, Albania's coastlines shared unspoiled space with forest land. The world-famous bulls, horses, and reindeer in France's Lascaux cave have survived in pristine condition for 17,000 years, but they may be history soon. Priceless cave art in different parts of the world is suffering from the inadvertent actions of tourists who come to see it, and officials are struggling to find solutions. In southern France, the Lascaux paintings display some of the best examples of Paleolithic art in the world, showing a working knowledge of artistic perspective that was not seen again in Europe until the Renaissance. But since the introduction of tourists into the cave in the 1940s, the paintings have suffered damage from elevated carbon dioxide levels, white fungus, and light, all of which have been brought in unwittingly by visitors, said a recent article in the Washington Post. And in China, Buddhist monk art dating to the fourth century at Mogaoku has become damaged from fluctuations in humidity, according to the New York Times. "Plans for drastic remedial action are underway," said Holland Cotter, the article's author. The caves' director is initiating the building of a visitors center where tourists will see a digital tour of the caves before going to visit a more limited part of the site in person. But "it is possible that without major change, all the caves will eventually have to be closed to the public," said Cotter. 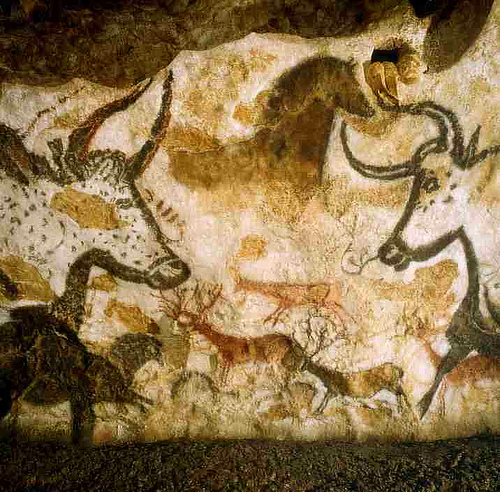 The Lascaux cave has been closed since 1963. What do you think? Should officials let the public visit these sites, or make the preservation of the paintings their first priority? Back in September, I blogged about the concept of the Buffalo Commons, whose goal was to revert the Great Plains to its pristine condition by creating a nature preserve for free-roaming bison. So when I read a recent article in the New York Times about this very topic, I was delighted to discover the eco-initiative has continued to gather momentum over the past several months. 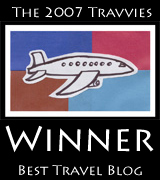 NYT suggests some highlights among the "thousands" of eco-operators, like Off the Beaten Path. 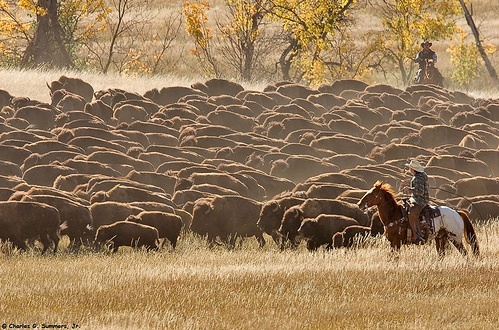 Based in Bozeman, Montana, the outfitter offers guided, seven-day trips through the Dakotas, where travelers visit a working bison ranch to learn from bison rancher and author Dan O'Brien (in addition to indulging in a can't-get-fresher-than-this barbecue). 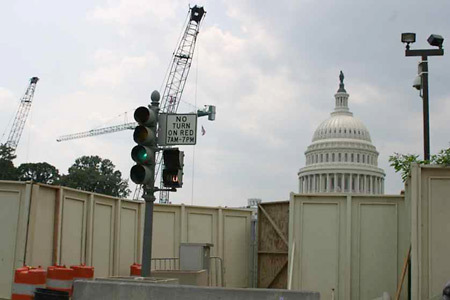 The Washington Post has been running a series of interesting articles about the deterioration of "America's front yard," Washington D.C.'s National Mall. The grounds surrounding the monuments and tidal basin are National Park Service property, and the service says they're owed more than $350 million in maintenance fees. Which means that if you wander the Mall you'll find rusty toilet fixtures, cracked pavement, dusty lawns, algae-filled reflecting pools, and a host of other signs of wear and tear. (I know, I've seen most of these things myself.) More than 25 million visitors come to the Mall each year–that's more than the Grand Canyon, Yellowstone, and Yosemite parks combined–but there are only 100 toilets, 54 rangers, and three places to buy water. Though the monuments still inspire, their surrounding environs are less than impressive. A few groups have sprung up to help address these concerns. The Trust for the National Mall is working to raise funds and refurbish the space, using a model similar to that of the Central Park Conservancy, which revitalized New York City's grand backyard after years of disuse. They launched last month and are working to raise over $500 million in donations (right now there's a volunteer section on the Trust's website, but no information on how to donate your time quite yet). And the Mall Conservancy is seeking to expand the boundaries of the Mall for future exhibitions and museums, and help in the long-term planning efforts to revitalize the space. A bunch of task forces have been formed to create a National Mall Day, improve the quality of visitor and welcome centers, and promote performance and art activities. Their site has a great section about the Mall's history, and a variety of proposals for taking Pierre L'Enfant's plan into it's third century. All I can say is: Amen. I got to enjoy the efforts of the Central Park Conservancy during my time in New York, but it will be a long time before I pack a blanket and head down to the Mall. Besides being overrun with people, there are too few amenities to make it an enjoyable excursion. You go there with a mission in mind: See the cherry blossoms, visit the Smithsonian, or if you're one of the many D.C. leagues, to play in a softball game. But hopefully with these efforts, I can start feeling like it's my own little front yard. What are your impressions of the National Mall? What do you think can be done to make it better?